Looking for fun Fall and Halloween events in the Daytona area and Volusia County? Every year activities take place for Fall and Halloween in Florida, with plenty happening right here in Daytona! Here is a list covering all of Volusia County, including Daytona Beach, Ormond Beach, Port Orange, DeBary, DeLand, Edgewater, and more! 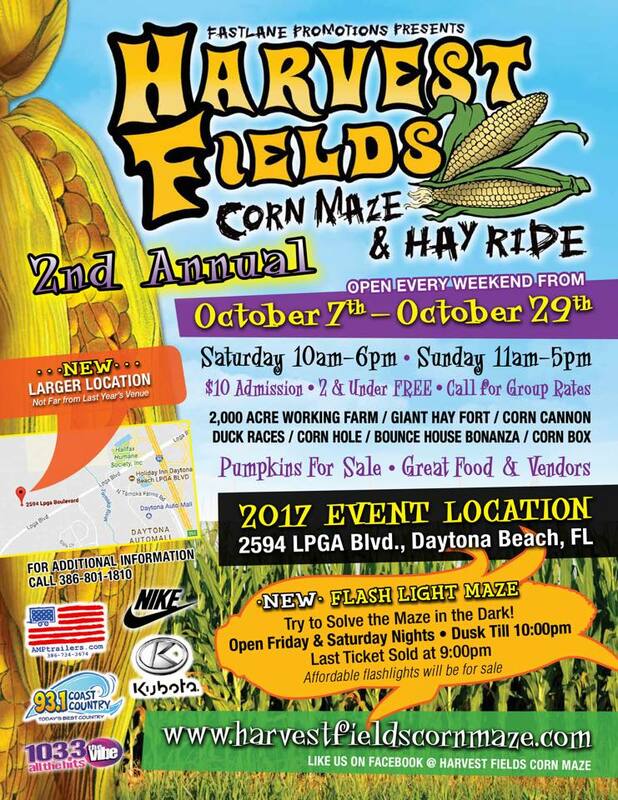 If you know of an event that is not on this list, please submit it to be added in Comments below, we are happy to list it in Halloween in Daytona and Volusia | Corn Mazes, Hayrides, Fall Fests and More for FREE! Now in its 23rd year, this not-so-scary Halloween event features a fantasy-filled hayride show for the whole family, on October 24-26, from 6:30 pm to 8:30 pm. 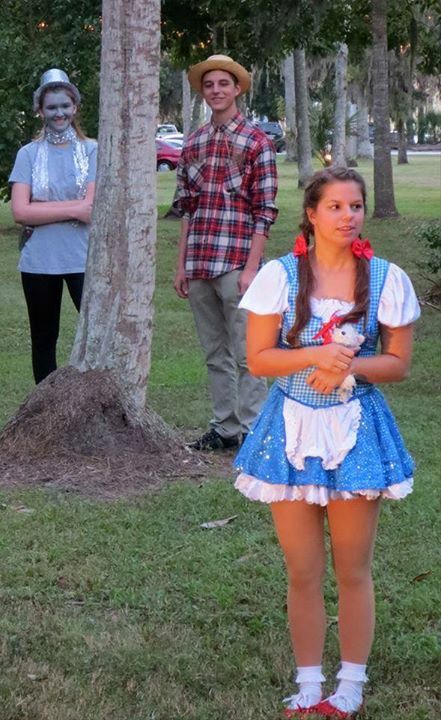 Reed Canal Park in South Daytona hosts the event which features an enchanted hayride through the "forest" while local high school drama clubs perform memorable fairytale skits. 504 Big Tree Rd, South Daytona FL, 32119. Santa's Farm and Christmas Tree Forest provides a family-friendly atmosphere with good old fashion fun even in the fall! A family tradition since 1989, offering campfire cooking, and pony rides. 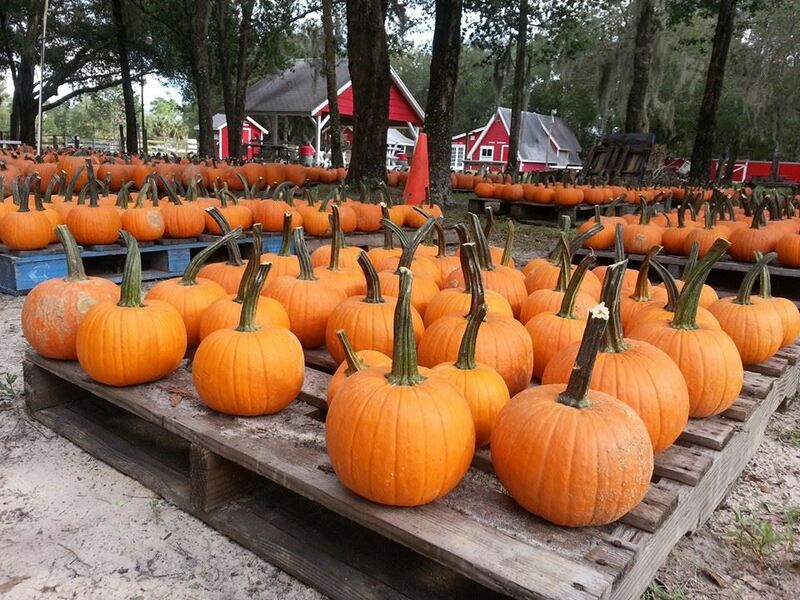 A Lot of Pumpkins can be found at Santa's Christmas Tree Farm in Eustis. Enjoy the maze, hay rides, and more. Opens Sept. 30th this year. 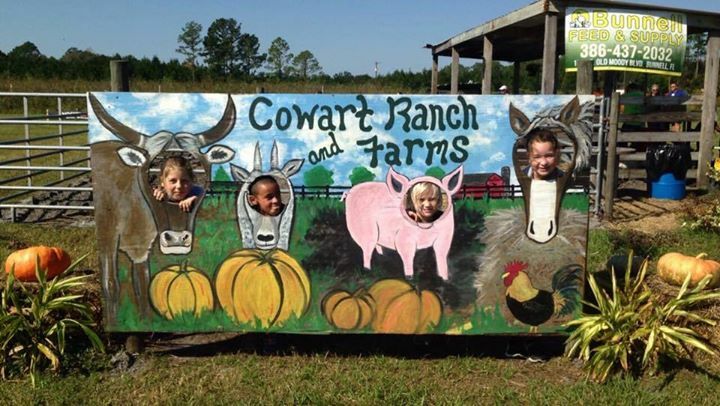 Head to Cowart Farms Friday 5 pm - 10 pm ~ Saturdays 10 am - 9 pm, and Sundays:11 am - 7 pm for this years maze, pumpkin patch, hayrides, farm animals, and more. 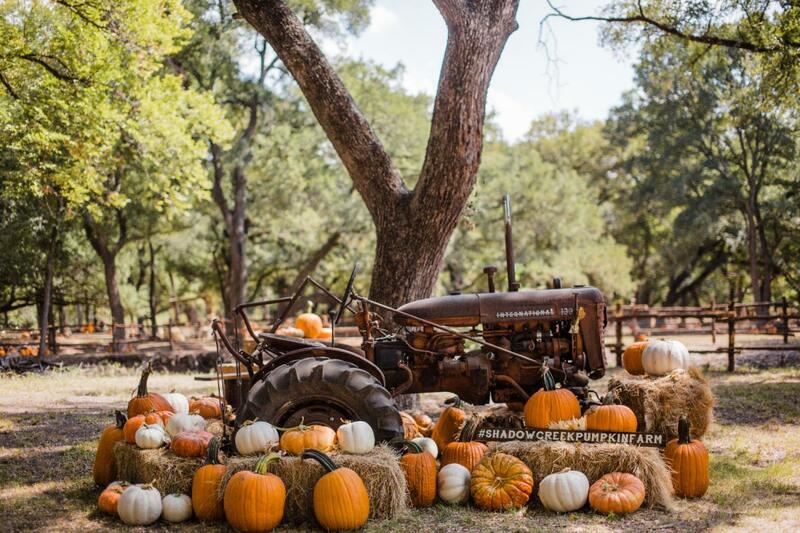 This 1200 acre ranch opens to the public in October with a Corn Maze, Hayrides, Pumpkin Patch, Duck Races and much more. Fun for the entire family. Take a break under the giant tent, plan on spending the day. Opens October 7th and will be open every Thursday-Sunday with a $5 maze and hayrides for $2.Click the link above for additional details. NOTE: Vo-LaSalle Farms, located in DeLeon Springs IS CLOSED this year due to storm damage to the crop maze. The City of Port Orange will once again host the annual Halloween Fest at the City Center Complex October 31st 5:30 - 8 pm. The is a celebration for the whole family! There will be a variety of events including free entertainment, a community expo, a mascot breakfast, parade, carnival, beer and wine garden, food trucks, and more! This is a huge event every year and one not to be missed. They have something for everyone and every age! 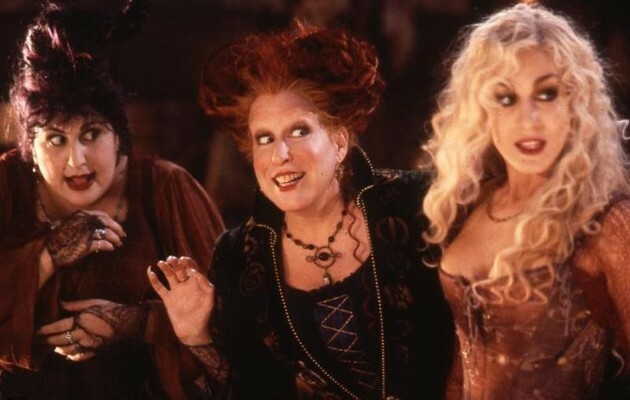 The City of Ormond Beach Department of Leisure Services is proud to present Movies on the Halifax featuring "Hocus Pocus” October 6th at 7:15 pm in Rockefeller Park. 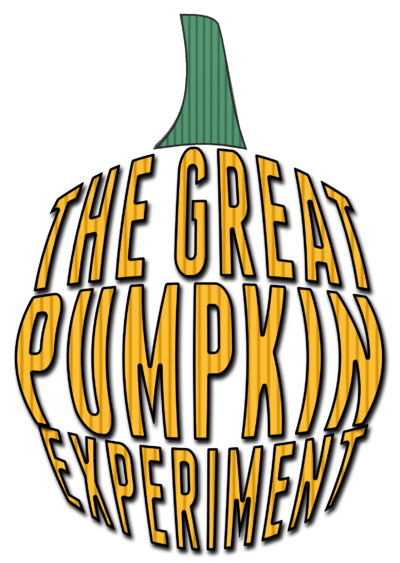 Join Dr. Jack-O and his companion Mr. Pie as they use science to get a better understanding about how Pumpkins grow, feel, and smell, all while having fun with some exciting science experiments at this unique fall inspired event designed to be fun for all ages! The City of Deltona will host its 15th Annual 2 days Halloween Spooktacular Event on Friday, October 27th and Saturday the 28th from 6 pm - 10 pm as a safe alternative to traditional trick or treating. The event is held at Dewey O. Boster Park for two days. Enjoy a Teen Night on Friday which includes a Haunted Pirate Ship, Haunted Trail, Hayride, and a D.J. as well as other musical groups. Family Night is the following day, Saturday, which includes not only the Haunted Pirate Ship, Haunted Trail, and the Hayride but, also Halloween games and prizes, inflatables, treats, a pie eating contest and a frightening freaky food contest. Each year staff from several departments and numerous volunteers help set-up, decorate and work the event. Attendance runs around 10,000, and the event continues to grow every year. 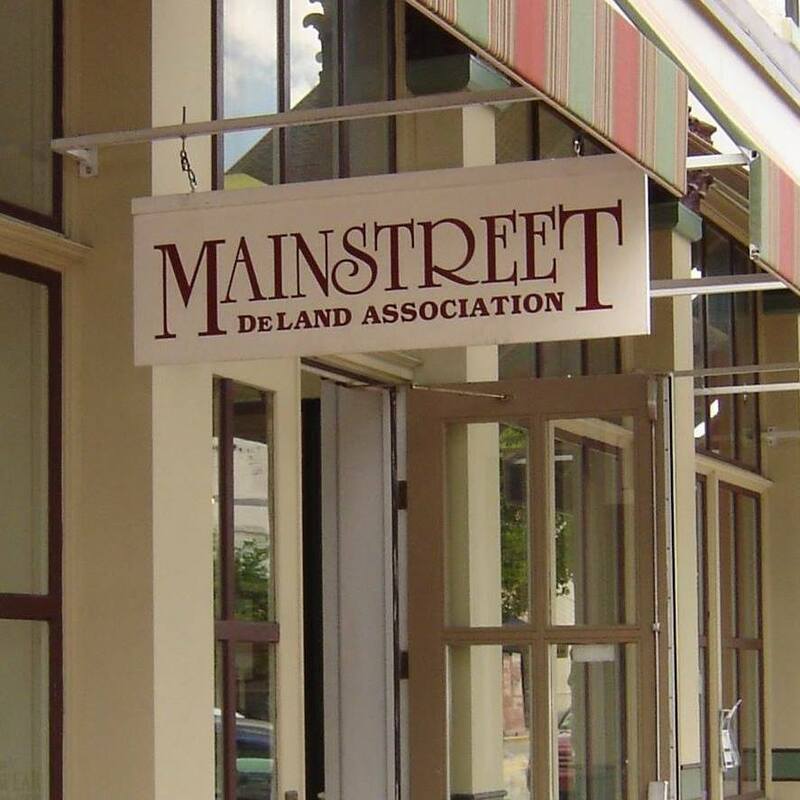 OK, so not so much about Halloween in Daytona but we can't leave out the DeLand Oktoberfest Block Party on East Indiana Avenue this September 30th from 5 pm to 10 pm where admission is Free! 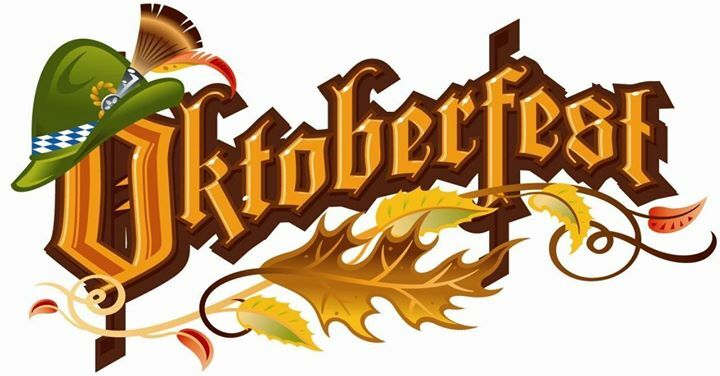 Food and drink are additional, look for German Food, German Beer, Wine, and Spirits, Live Music, Games, Raffles and a Sam Adam's Stein Hoisting Contest. Visit our Oktoberfest Page for some beery good info on where to knock back the suds this year! 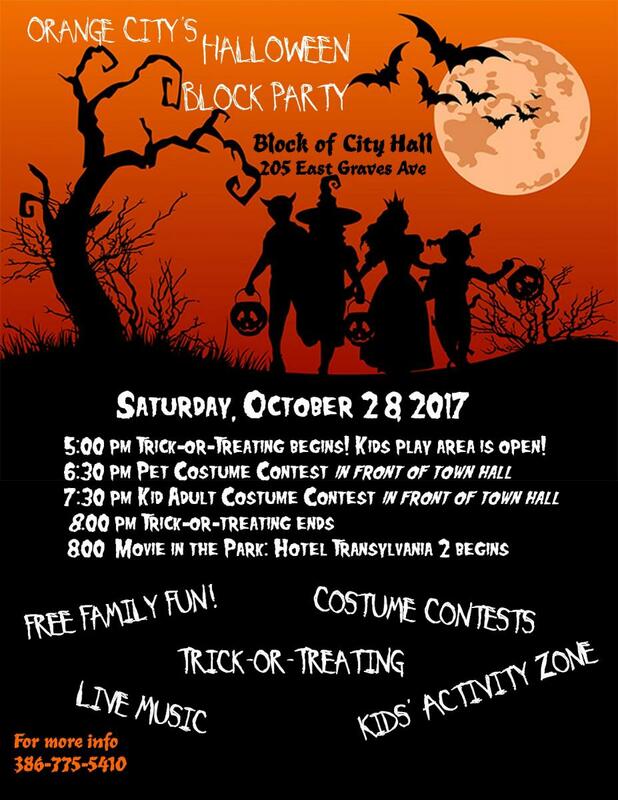 The Orange City Halloween Block Party is Saturday, October 28th from 5 to 8 pm when the movie starts! Click the link above for additional info! 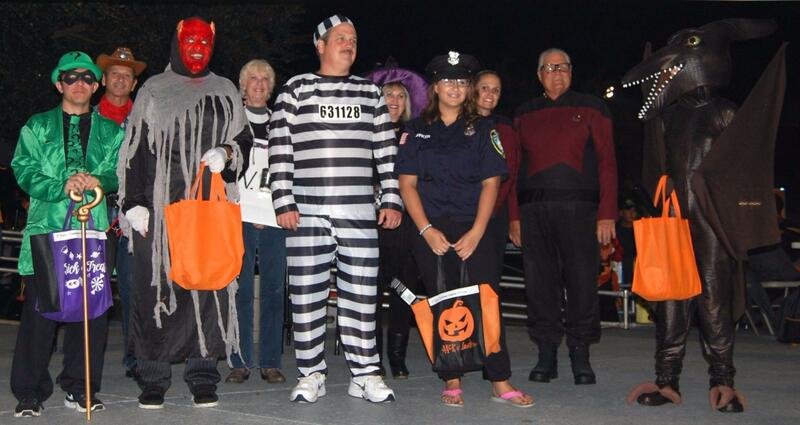 Safe Trick-or-Treating runs from 6 - 8 pm as downtown DeLand merchants invite your kids to trick-or-treat. The night ends with a kids dance party and costume contest. Click the link for more information.